Ok, maybe these brownies won't change your life, but they will make you feel better. And that's pretty cool, right? Below is an awesome tip to take your brownies from "tasting pretty good" to "I think I'm going to eat the whole batch in one sitting." I took these brownies to book club one night and my friend Vanessa was having a really bad day and felt totally overwhelmed. She had one of these amazing brownies and immediately felt better. I'm telling you, there is pure magic in these! 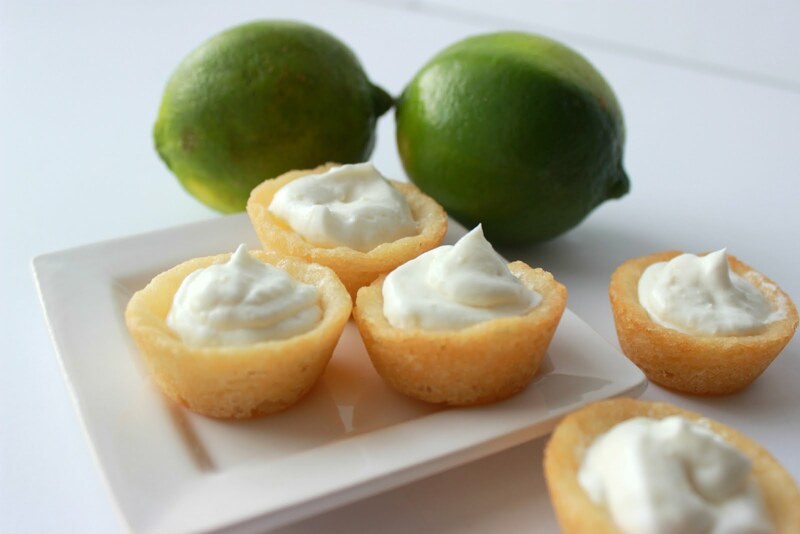 The recipe is so simple, but the rewards are so awesome. 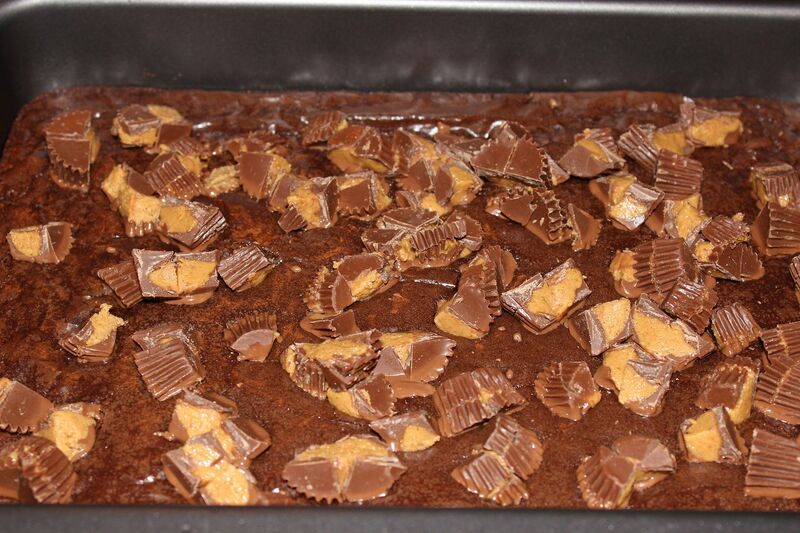 You only need brownie mix (plus the eggs, oil and water) and Reese's Peanut Butter Cups. 1.) 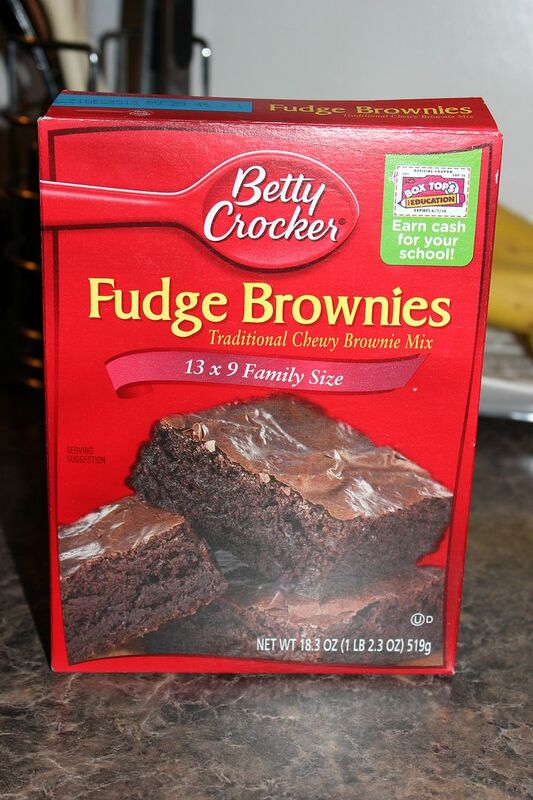 Prepare your favorite brownie mix according to the box directions (unless you're uber cool and make your brownies from scratch, then make 'em that way). 2.) Pop the brownies in the over for 4 minutes less than originally called for. 4.) Once the brownies are finished baking (minus four minutes!) 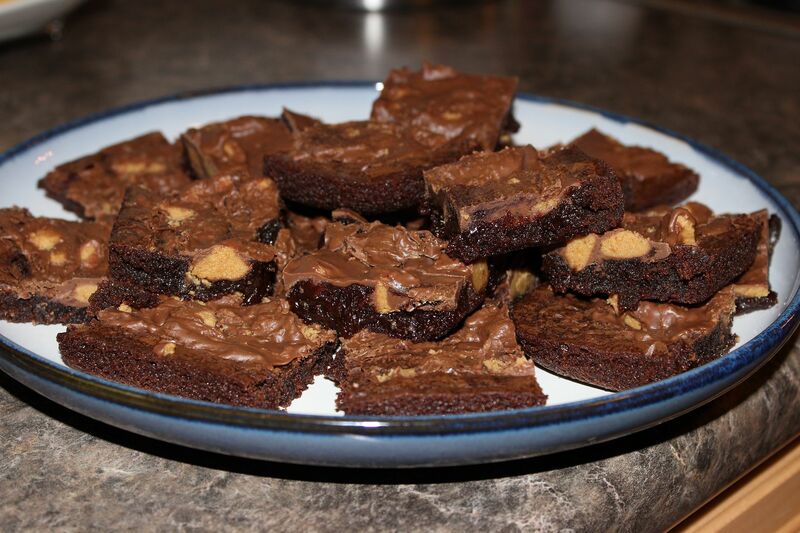 take them out of the oven and sprinkle the cut up Reese's all over the top of the chocolate goodness. 5.) 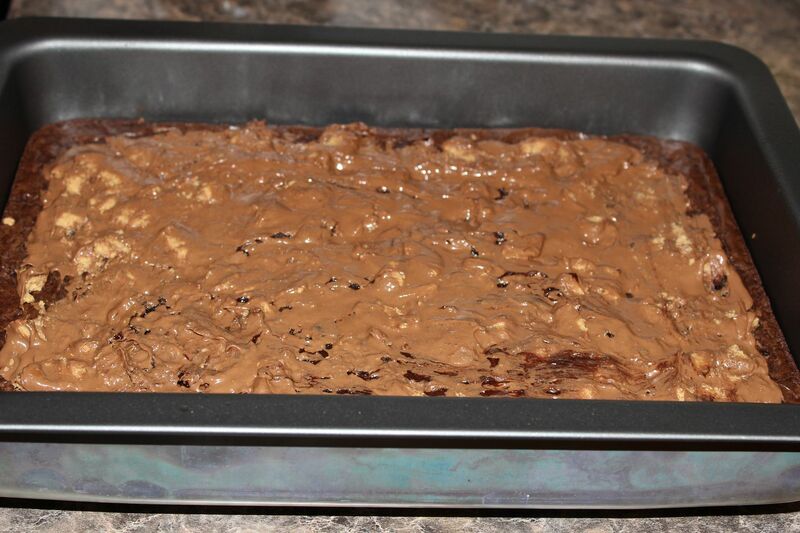 Pop the brownies back in the over to bake/melt for the final 4 minutes. 6.) 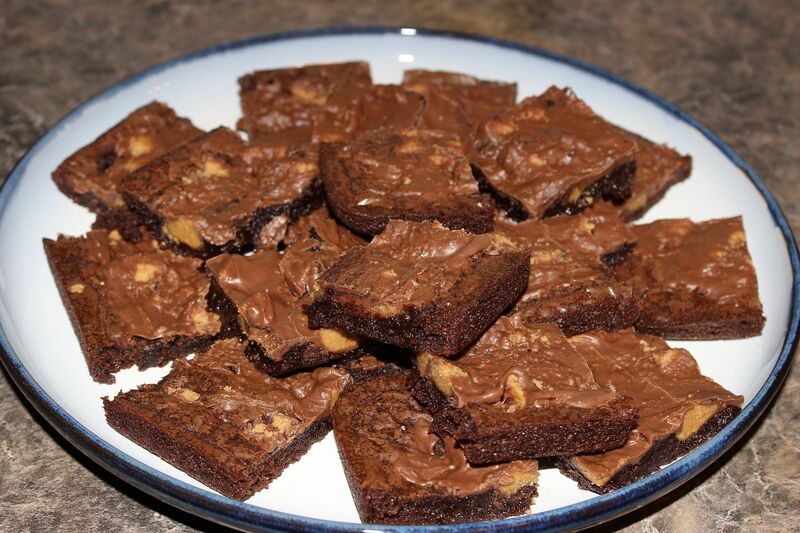 Take the brownies out of the oven and, using a spatula, smear the melted Reese's Peanut Butter Cups all over the top of the brownies. 8.) See if your brownies can even make it out of the pan and onto a plate, because trust me - you will be ready to devour them. oh man.... this is making my life so hard right now. i gave up sweets for lent. but i need these in my life! ERMAHGERD! My 13 yr old little baker will D.I.E. over these. Yummster! Just started following you, it's a must. 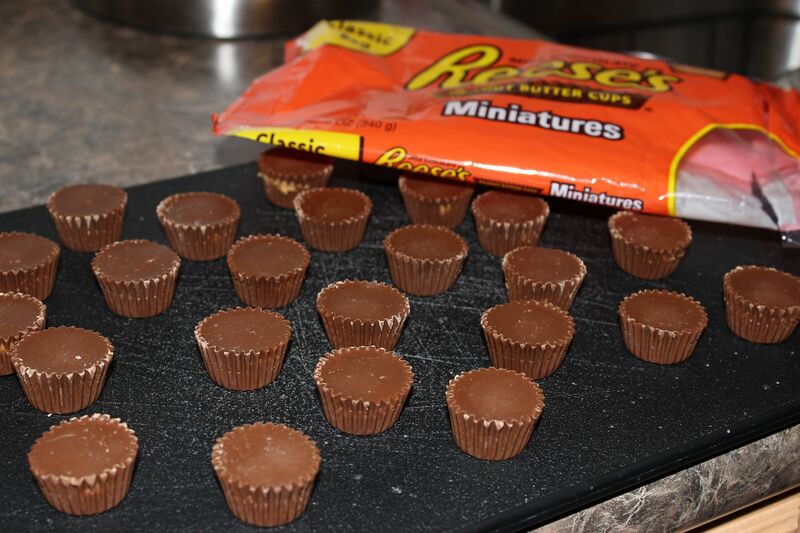 You had me at Reese's Peanut butter cups. These look delicious. 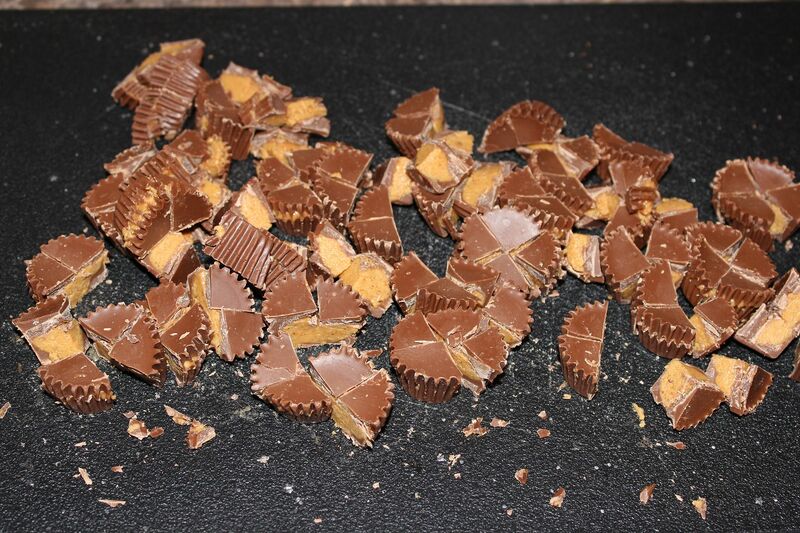 mmmm PB cups are my weakness! Oh wow, yes I would like some of these! I wish I had these right now!